I need to get some good work going in the next few days before I see my ex. What candles should I get to be burned on the altars? Not enough time to mail anything. On the MISC altars, I would ask for the emergency light to be dressed with an oil like Fire Of Love, Return to Me, Stay With Me, or Reconciliation. 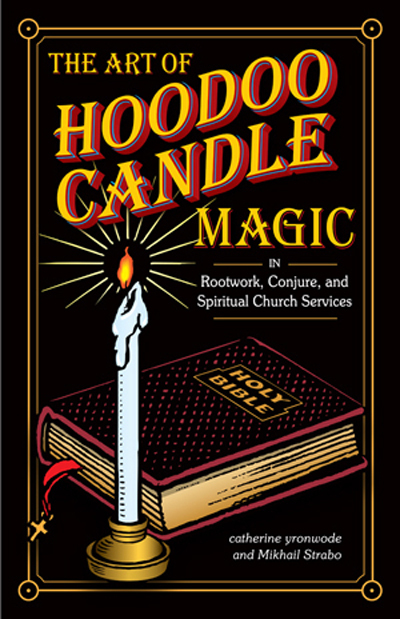 You can ask the church to dress the candle with a bit of all those types of oils and herbs; they can mix and match a bit Call them up at 707-887-8708 and ask for one of the great candle workers to help you! I got a Love Me vigil light burning a few days ago. Should I mix these with a free emergency light? I agree with marybee. I would go with a reconcilaition vigil candle, you can ask them to add the other oils to the reconciliation candle. I would go with return to me, and love me to the reconciliation candle. The free emergency light should be pink, given your petition. Do you have any LM oils at home that go along with your situation ? If so, I like to have the church set an emergency light and also I will dress a tea light candle before I leave (if meeting an ex, for a job, etc) -- that way its personal and burning while I'm gone with them. You can carve his name on one side then turn it 90 degrees and carve a one word statement on the other, dress with the oil and any corresponding herbs then pray over it and light it right before you leave. when you get home after you can set another to reinforce it. I'd do this along with the 7 day candle. Good luck! When requesting a free emergency light to be set on the MISC altar, you can send a brief petition and ask for a certain type of oil to be used. The service is free, and we recommend that you burn a light in tandem with the light we set, so both small candles are shining at the same time. When requesting an emergency candle, do I need to send a picture of the intended? I am wanting to do one for our son who is wrestling and wants to win and qualify for state. I'm not sure what oil to request for this as well. The candles are already dressed so you don't need to request an oil. Also, a picture isn't 100% required. Many people just use name/birthdate and the spells work. Just a reminder, please don't quote. I have edited your post to delete it. Anyway, SUCCESS TO YOUR SON! We also have scheduled emergency lights available. Example: A customer of ours has one master key vigil light started burning on a scheduled date, the day before a big test, and a free emergency light scheduled for the day of the test, dressed in oils and set on our altar. And today was that scheduled day! Both candles were lit. I have chills right now. I asked 6/19 for an emergency light to be lit regarding my husband's infidelity (asking an intention to make him faithful and stop lying NOW). Yose emailed me on 6/29 apologizing for the delay, but that my candle was now lit. The very next day I found an incriminating communication between my husband and a woman I had suspicions about. It popped up out of nowhere. I confronted both him and her (via messenger--I've never met her in person) and it let to a very ugly scene in which I pretty much said we needed to get divorced. I emailed Yose again and asked for an emergency cut and clear light, because I was DONE. From there however ... I don't know what happened, but it led to a long, long, and surprisingly forthright discussion between me and my husband, where he opened up about a lot of things he had not been entirely open about to date. We have had considerable difficulty in our relationship over the past 2.5 years and every time we have one of these discussions it tends to be a big breakthrough. He said he will return to counseling with me and do anything he can to make me feel safer. He said "I should be on my hands and knees in front of you." I am not naive enough to immediately just believe he's done with cheating, but somehow it sort of felt we were sweeping out some of the last remnants of the dirty past. Like he had to come clean about this last woman and go through this scene with me in order to move on. I emailed candle services again and asked them to hold off on cut and clear until I see what is going on for sure. But I am AMAZED at the very fast response. I asked for a light to stop his cheating and I got that entire scenario ONE DAY LATER. Thank you very very much! Just to clarify, I have chills because I just now realized the light was set the day before it all went down. I want to get an emergency light. What's a good oil to ask for to encourage a friend with benefits to communicate with me more and plan to hang out with me one on one? Essentially, I want him to chase me and be smitten by me. Ladee -- asking for a man to communicate with you, chase you, and be smitten by you is not an emergency. The dictionary defines an emergency as "a serious, unexpected, and often dangerous situation requiring immediate action." We consider that emergencies are TIMED events that can change a person't life. An event that does not require an immediate or timed reaction is not an emergency. No apology necessary, Ladee -- i was just trying convey information. The setting of emergency lights may seem like a small part of my work, but it is something I feel strongly about, as does my colleague Nikki, who sets the little 4" candles on the days I am not in the church. These candles have always been -- and always will be -- free. Their small cost, and the wages of those who set them -- are covered by donations that kindly folks make to the church via Paypal. Thank you to all who donate, because you make it possible for those in need to have a little light on their paths. We offer candle services for free and will burn a 4" candle for you with prayers at no cost. and inform us in a sentence or two at most for what purpose this service is intended. One small 4" altar light will burn for about an hour to cover your most immediate need. We will respond by email, letting you know that we have received your request for an Emergency Light. * Please do not telephone us for Emergency Lights. * Please do not attempt to send us photographs for use with Emergency Lights because photos can only be affixed to glass vigil candles. * We do not mail Candle Reports for these small lights.